Corey Seeman flickr cc license. They stand mostly abandoned now, these one-room country schools. But as the following story by Florence Smallfield reveals, they were places held in high esteem, where community happened and children of all ages received instruction in education and a way to go in life. Florence’s story of her family’s farm in Flandreau, South Dakota came to me through my mother. Both women attend church together. You can read her moving account of her family’s BlessBack in BlessBack: Thank Those Who Shaped Your Life by purchasing a copy of the paperback version here. Or, if you prefer, the e-book version of BlessBack is FREE for you to download to your Kindle or iPad from Wednesday, August 8 to Friday, August 10 here. Florence and I have stayed in contact with one another. I invited her to do a BlessBack guest blog and here is what she wrote. I think you’ll agree that Florence lives the BlessBack life because of one special illuminator, Irene Christiansen, her teacher. Florence Smallfield grew up on a farm southeast of Flandreau, South Dakota in the ’40s and ’50s. At that time most farm kids, Florence included, attended country school for grades 1 through 8 (no kindergarten in country school), and then rode the bus or drove to the nearest town for high school. Florence is a retired Bloomington elementary teacher. She and her husband, Del, have three grown children and four grandchildren. 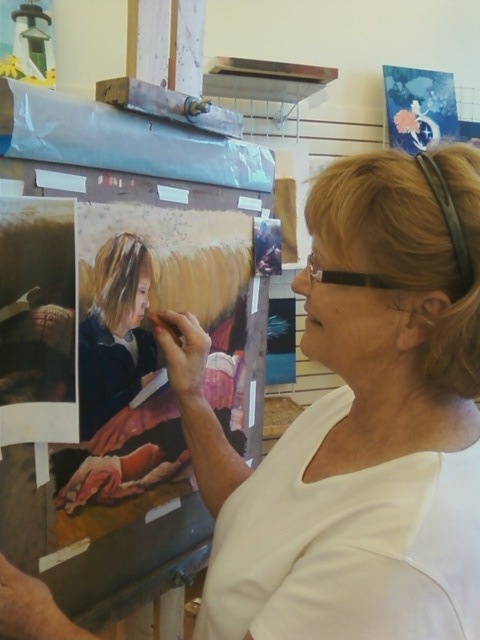 Florence enjoys her family, gardening, painting with pastels, and entertaining family and friends. I became an elementary teacher partly because of one of the teachers I had at Saby School in rural Moody County, near Flandreau, South Dakota. As I read BlessBack, Irene Christiansen, one of the best teachers I’ve ever known, came to mind. Saby School was located within two miles of our home, and we usually had nine to fourteen neighbor kids as students in most grades, first through eighth. Of course, there was only one teacher for all of us. 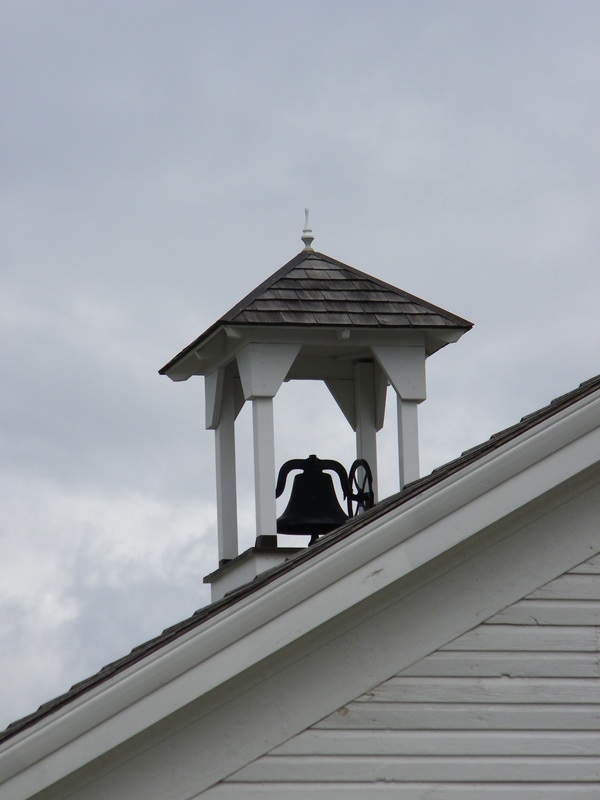 At that time and in that place, country school teachers were required to teach grades one through eight. They also had as duties: maintain discipline; supervise the playground; keep the stove working in the winter; send two students to get a bucket of water to drink each day; clean the schoolhouse; check and maintain the outhouses; plan holiday plays and programs; catch mice in mousetraps; provide first aid as needed; and do whatever else had to be done. In the early ‘50s there was no central heat or air, no electricity, and no telephone. Also, there was a rigorous state curriculum. Each spring students took the state tests to determine whether or not they could advance to the next grade. Country school teachers had to cover the curriculum during the school year to prepare students for the examinations. I’ve often wondered what Miss Christiansen thought she had gotten herself into. She became our teacher after we had spent a year with a teacher who was lax in teaching basic skills and who did not or could not realize that students needed more structure and discipline than there was in her management style. Miss Christiansen had our lack of learning to deal with in addition to everything else. Not only did she help us catch up, we performed as we should have on the spring tests. At the time none of her students realized what a task she had undertaken. We just thought that she was a good teacher who liked all of us. In addition to all of the work that I mentioned before, during the cold winter days when we couldn’t play outside, she taught us to square dance and taught the boys woodworking and the girls crocheting. Miss Christiansen is one of many reasons I became a teacher too. Every day that I taught, my experiences as Miss Christiansen’s student came to mind. I remember going to her house to visit her and to tell her how much I appreciated all that she had done. Of course, she acted like it wasn’t such an accomplishment on her part, but it was. I know that she appreciated the visits. When I wrote my autobiography for a graduate class, I sent her the paragraphs I had written about her influence in my life. Until she died, she and I corresponded, and I did visit her in her home and in the nursing home where she resided until the end of her life. Every day that I taught I wanted to interact with people and teach students in much the same way as she had interacted with and taught me and my schoolmates. What better legacy could Miss Christiansen have given to me? Thanks, Florence for guest-posting today and sharing your BlessBack story. If you have a story to share, why not email me at julie at juliesaffrin dot com and share it with me? If I choose your story as a guest blog, you will receive the free e-book of BlessBack: Thank Those Who Shaped Your Life to download onto your Kindle, Kindle Reader or iPad. Here is a picture of Florence at work in her studio.